A few months ago when Visa’s payment processing system went down, it was revealed that in the UK, 1-in-3 transactions for a purchase, a third of purchases, was completed by either using a Visa debit card, or Visa credit card. So when the systems went down, there were a lot of people unable to spend money. However, cash still worked just fine. Technology has changed how we bank and how we spend money. More and more people are using mobile banking, and online banking while still popular, is taking a back seat to mobile banking, and for two reasons. We always have our mobiles with us, and we can connect to almost everyone, or anything, anywhere, and secondly, there are more and more mobile payment apps and options available to us. Who goes into a bank branch anymore? Who writes a cheque? That is one reason bank branches are closing faster than the High Street shops. Next let’s look at the TSB fiasco a couple of weeks ago, customers and account holders not being able to gain access to their money. Some watching as their accounts were drained, and being given other account holder’s details, all while waiting hours to get through to customer service. The “trickle down” effect of such an IT meltdown was more like flood gates being opened than a trickle down. People trying to pay for a property cannot settle the deal as they cannot transfer the funds. Bills being paid late, in the instances of credit accounts being paid late, this could impact someone’s credit score or credit rating. Then let’s just toss in the mix the other banking “glitches” that have occurred with other banks, Tesco Bank, NatWest, HSBC, there are few banks that have NOT had some form of IT issue or technical glitch, that has caused account holders to not have access to their money, or be able to pay for a purchase. Cash doesn’t experience IT glitches. Maybe a few quid under the old mattress is not such a mad idea. However, are we really moving towards a cashless society at all, is it a conspiracy to herd us in that direction? Lastly, we add in the threat of ATM closures. Link the largest operator of ATM’s has recently reduced their transaction fees, which normally any reduction would because to celebrate. However, not in this instance. By reducing their fee, there is a fear that some ATM’s that are not used a lot or are profitable will be removed, closed down. This could create “ATM deserts”. Then where would we even go to get cash? So we are back to being herded into a cashless society. Herded by technology, the ease of use, lack of access to cash and bank branches, and even the government who has proposed a cashless society. This then begs the question, are we ready for a cashless society? With so many errors, glitches, and IT outages, are we really ready. A bold statement, how can using cash cost us more over using card payments, or direct debits, and all the other forms of paying bills and making purchases? Looking at one quick example, there are some landlords, estate management firms, and even companies, that charge a small fee to pay by cheque or use cash. These companies and estate agents, prefer direct debits or standing orders, and if you choose to send a cheque or pay with cash, they charge a £5 fee to process your payment. Some shops are moving away from even accepting cash as a form of payment. So if you wish to shop or eat at one of these establishments, you need a debit card, credit card, Apple Pay, Google Pay, or some other form of cashless monetary expression. Even getting access to your cash can be costly as some ATM’s, when you can find one, charge a fee. Paying a fee to gain access to your own money. When it comes to travelling and seeing the world, cash has already died a slow death. Exchanging currencies, especially if travelling outside the EU, or to the EU and then onto other countries outside the EU, requires you to have multiple currencies on hand. You also have to time when you exchange currencies to get the best rate. Using your debit or credit card abroad has some advantages, one being no need to carry around a large amount of notes, or worrying about the denominations you may have. Just like here in the UK, some shops in the world do not like or accept notes higher than a 20. Using a credit or debit card gives you access to purchase anything and not needing to have the cash or correct currency at hand, in addition, you receive the current exchange rate; which may be better than when you left to travel. The one downside of using debit or credit cards is that your bank or card provider may charge you a “non-sterling” transaction fee. These fees can vary, and in some instances even with the fee, your purchases due to the exchange rates may be in your favour. Be aware of using cards for cash advances or at ATM’s as you can be charged a conversion and transaction fee. Online shopping is a growing industry, just as Amazon and other huge online retailers are showing us. And as there is no way to put cash into your computer, tablet, or mobile for payment, debit and credit cards, among other ways to pay such as PayPal, are the only ways to complete your purchase. Ecommerce is growing, and technology is just feeding the ecommerce fire. If you think back, years ago if we were to buy something online, you may be using a computer, or a laptop, today, it is tablet computers, and for many people, their mobiles. Technology has allowed us to have mobile phones that now do everything, play music, videos, search the Internet, send messages, shop, and still make a phone call. The digital world while growing, has been shrunk down to fit in the palm of our hands. Suppose you have a subscription series such as Netflix, or an ereader like a Kindle, then you need an account, and an account that is paid directly out of your bank or by credit card. Like the Dodo, and also the old fashioned coin gas meters, gone are the days of sending in payments for subscriptions and other ongoing monthly payments. Becoming a cashless society on the surface sounds good, and futuristic, but as with all new technology and great strides forward, there are those that will use it to their own advantage; go to the “Dark Side”, or in other words, it may become a “whole new realm of mischief”. 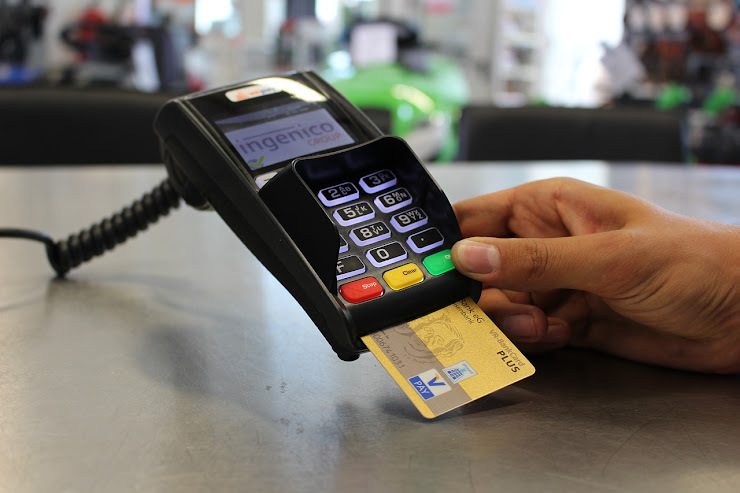 One aspect of a cashless society is the ability of having contactless payments. These payments can be via our debit and credit cards, which for payments currently up to £30, can simply be waived over a payment terminal, and the payment is made. For other forms of payments, it may be using our mobile phones and sending money, or once again, having our mobile phones near the payment terminal, and the money/payment is transparently made. This opens us up to some issues, such as identity theft and also criminals stealing your card details. You may ask how, and one simple way is if your contactless card is in your wallet or purse, someone may use a payment terminal near you, on purpose or by accident, and badda bing, badda boom, payment is taken off your card. Again, up to £30…..for now. Card Clash: Card clash is where you may have more than one contactless card on your person, and when you use one card for a payment, the terminal senses the other cards, which are also contactless, and charges those cards as well. So you may pay two times, or more, for a purchase. While card clash and other issues with contactless cards and becoming a cashless society on the surface seem like problems, they need to be viewed as teething issues. We are on the forefront of something new, and as with all new technology and digital advances, there will be growing pains. There are many new ways to make payments and send cash these days, technology has opened up so many new applications, and many are used to send money or make payments. If you have someone’s mobile number, you can send them money. No longer is it just a PayPal world. And now with open banking things are going to really change. Open Banking: Open Banking is new, and came into effect this year, and in essence states that banks must share your information with regulated providers, and in which you give permission. This means that budgeting apps, and other payment apps, can all have access to your details, which may include who you pay, how you pay, and all your banking information. As to why the government made these changes to allow your information to be shared, was to increase competition, and allow us as consumers more choice. And this is not something you have to participate in, you have to give permission to who your bank can share information with. So no worries there. However, in some instances it may be a good idea to share your details, such as if you are going to use third party applications to make payments or for banking. I would venture this information may find it way into our credit bureaus and be used as a way to update and give a more accurate picture of our credit files, and to be used in credit scoring. Social credit scoring is already upon us, and it is only a matter of time before more information, such as what is contained in Open Banking, makes its way into that realm. Social Media and Banking: With Open Banking, it is possible that some social media, such as Facebook, or online retailers Amazon, or even the internet giant Google could become banks of the future, and devise new ways to make payments and send money. Increasing our non-use of cash. These companies already have the database and clients, and all their details, so adding one more service, such as banking and the ability to make payments, is not a huge move. And Open Banking only makes this easier. Granted when we discuss a cashless society, and no longer using notes and coins, there will always be some resistance. This usually comes in two (2) forms, the older population, and the conspiracy theorists who have concerns over privacy and safety in not using cash. However, as this new technology is introduced, and it is the younger generations that embrace it, over time not using cash will become the norm. In addition, concerns over safety and privacy will be addressed over time, and the use of new technology, such as Blockchain; ledgers that cannot be altered or modified unless the entire ledger or chain is modified, will handle any security issues. As to how the government feels about a cashless society, it appears they are behind the idea, and if you remember a few years back, the then Chancellor George Osborne proposed taking 1p and 2p coins out of circulation. The government even looked at proposing a cashless society by 2020, which is not that far off. However, this date many feel is not realistic, and a date of 2025 to become a cashless country is more realistic. One major concern with this huge change and going cashless is the fact there may not be a way to return to using cash once we leave it behind. One area the government feels going cashless would be beneficial is in collecting taxes on money paid, “cash-in-hand”, as it can then be traced. And also going cashless may curb some forms of money laundering, and other monetary crimes. So from a tax and criminal standpoint, a cashless society may be a good thing. Moving towards a cashless society means really not using cash, for anything. This includes some areas we may not have thought of or imagined. Busking: There you are walking down the street in your local city centre and you hear the strains of a lovely melody being sung by a busker. In most instances, you would reach into your coin purse, or where ever you keep your change, and possibly toss a few pence to the musician there on the street. But this is a cashless society now, and buskers can accept payments via a card reader which can take contactless payments. Many may even use a mobile app which allows you to send them money. No sordid coins for the busker to pick up later as well. Big Issue: Odds are that not too far from your busker friend, may be a seller of the Big Issue, the magazine sold by those that are homeless. Many Big Issue sellers now take card payments, even contactless payments. This makes it easier for the seller to keep account of what they are earning, and it also makes it difficult to say no to them for a purchase with the line, I don’t have any cash on me. Homeless: While there is some controversy surrounding this, those that are homeless can be given a barcode, which when scanned by someone, donates money to an account set-up for them. The account can be used to save for a deposit for a place to live, food, even medical care. The controversy stems from having the homeless person have a sign, or something that has and shows their barcode. The code is usually affixed to a lanyard the person wears. Once again, a way to donate and help someone, even if you have no cash on your person. So in answering the question, are we ready for a cashless society? The answer may be ready or not, this change is coming. As technology changes and grows, we may get swept up in it, and have to “go with the flow” and give up our old notes and coins, and embrace the new digital world of currency.